If you are planning on attending college in the near future, you should take advantage of the Hillsdale County Community Foundation’s 11th annual Hillsdale County College Fair. On Monday, October 16th, over 60 college and universities from the tri-state area and representatives from the armed forces will be on hand at the Margot V. Biermann Athletic Center on the campus of Hillsdale College. Beginning at 6:00 pm, college-bound individuals will have a chance to speak with and receive information from the attending representatives. The College Fair will also be the first opportunity for those interested in scholarships administered by the Foundation to acquire the 2018 Scholarship Book and application information. The Scholarship Book outlines all available scholarships and their respective application and eligibility requirements. The Foundation currently holds over 100 scholarship funds from which students can apply for assistance. In 2017, the Foundation awarded scholarships valued at $160,000 to area students to assist with their educational endeavors. Along with the Foundation, this event is being sponsored by Condon, Hecht, Bisher, Wade & Co., Gem Asset Management, Hillsdale College, and County National Bank.  Anyone looking for further information regarding College Night or the Hillsdale County Community Foundation’s scholarship program should call (517) 439-5101 or visit the HCCF website at www.abouthccf.org.